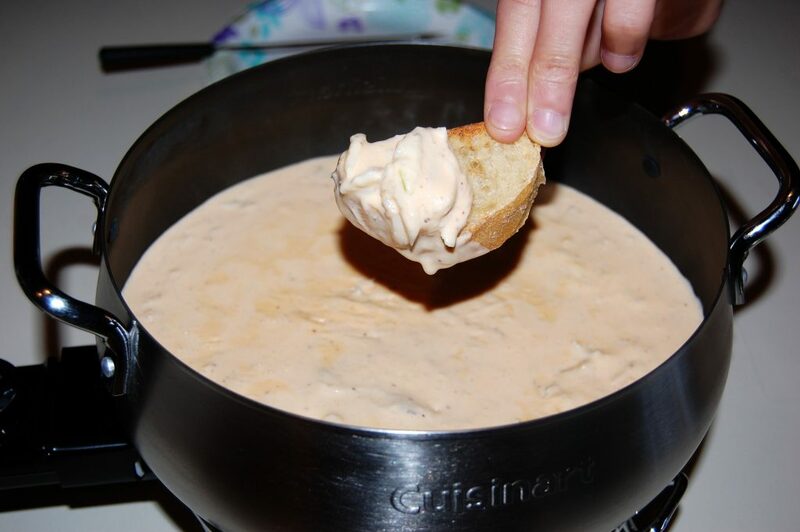 Impress someone special with this decadent, cheesy, crab fondue served with French bread, bread sticks and/or crackers. It’s deceptively simple and ready in just 30 minutes! In a medium, heavy-bottomed saucepan, melt the butter over medium heat. Add the shallots and cook, stirring often, until softened, about 2 minutes. Add the vermouth or wine and bring to a boil. Add the half-and-half and bring to a simmer. Gradually whisk in the cream cheese, whisking until the first addition is smooth and melted before adding another. Stir in the cheddar cheese until melted. Stir in the crab, lemon juice, mustard, Worcestershire sauce, and Old Bay seasoning. Season with the hot sauce. 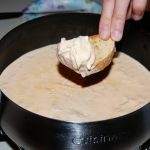 Transfer to an earthenware or enameled cast-iron fondue pot and keep warm over a fondue burner. Garnish with parsley or chives. Serve immediately, with breadsticks, French bread cubes, and/or cocktail crackers.